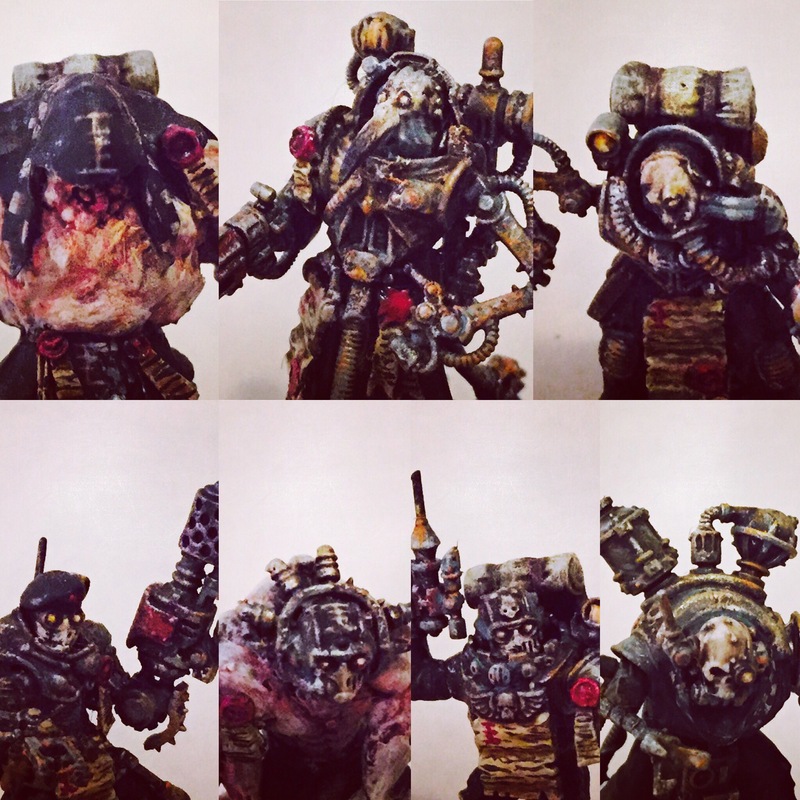 Berrugoete, Ordo Xenos Inquisitor and henchmen. 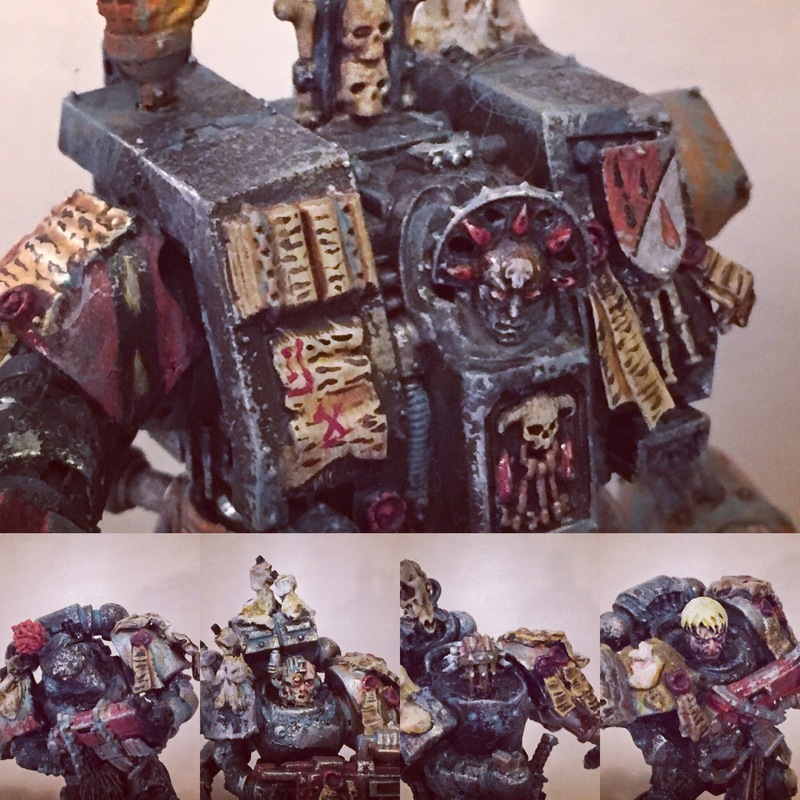 Zahariel, Brother-Librarian and leader of the Deathwatch squad aiding Berrugoete. But now it is time to see what Nestorian is up to and both me and Helge are expanding and developing the characters in this setting further. It is in many ways a neverending project for both of us! 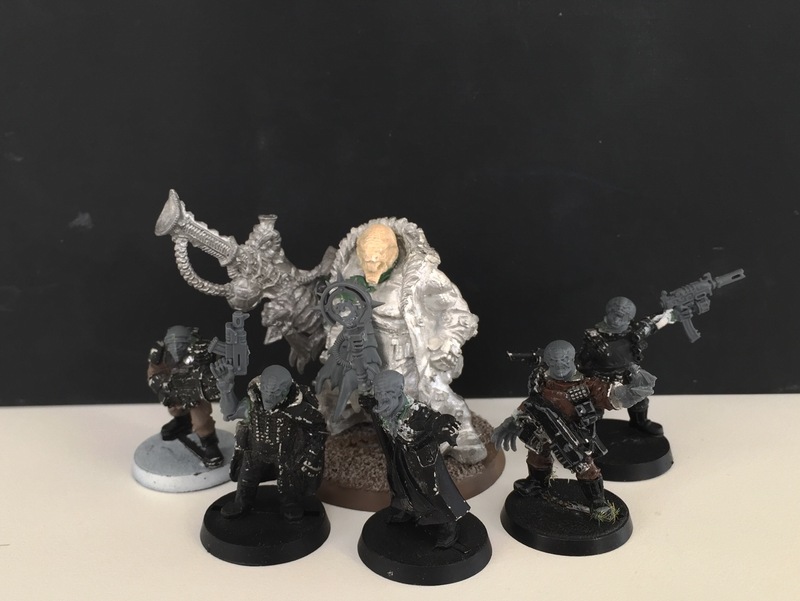 My first take on the Genestealer cult. The big guy is just ❤️ if I can say so myself! Paint that flyer transport for Berrugoete as it will play a key part in the campaign. The key difference was changing the head. I used a corpse from the plague cart or whatever it is called. He gives off this vibe of almost being terrified at what he’s doing. Hence I dubbed him the “Screaming Killer”. Secondary I used the smallest appendages from those plague bugs. All in all a creepy and gangly creature which ticks that nostalgic vibe for me. 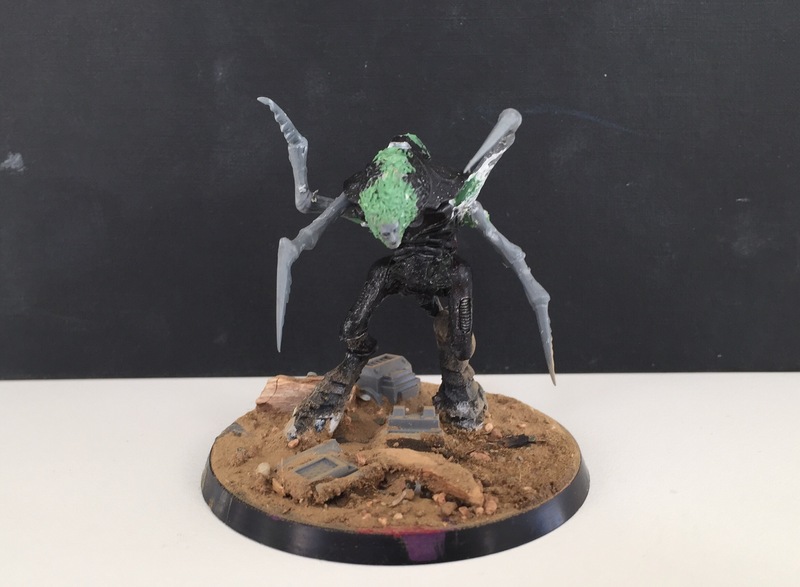 I obviously have more on the go while also writing up the first chapter of the Nestorian Infestation campaign. Expect much more moving forwards! 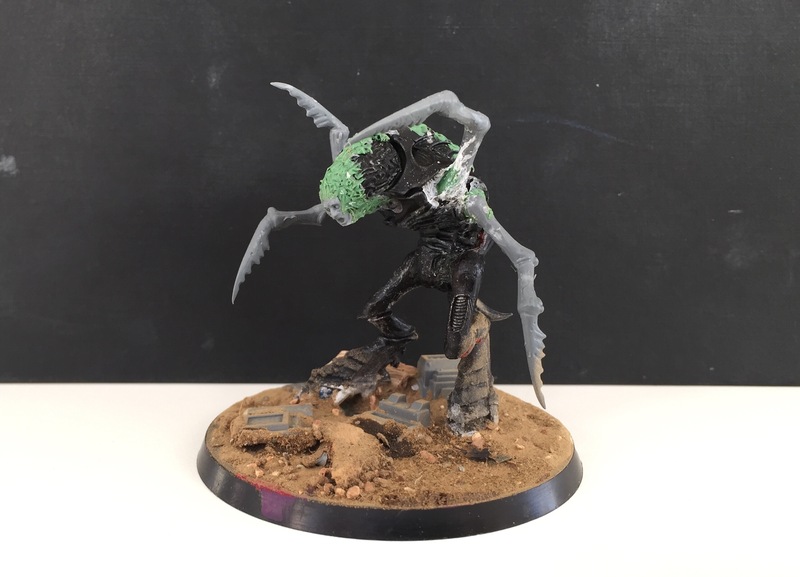 All very nice but I like the screaming killer a lot – the gangly look really works nicely and the all-too-horrified human face helps tie it into the genestealer cult and make for something a lot more terrible than the straight up and down monstrousness of the tyranids. Great to see this project back in action! I agree that of the things I’ve made for the cult this one ticks all the right boxes. I need to make some 2nd and 3rd generation to bridge them I think. Awesome mate, & ten out of ten for the screamer-killer! Great to see this back on the table. I’d have to agree with others, that screamer killer is awesome. Oh man! That screamer-killer is straight out of Dead Space, pure nightmare fuel. Lovely work.